It’s great to have a record of what you’ve checked out from your Delaware library to read, listen to and watch. Over time, it’s sometimes hard to remember titles and authors, but perhaps the story had a lingering, important significance for you and you’d like to find it again. Because libraries value patron privacy they do not keep records of items that have been returned (and which have no fines or fees attached); this clears them off your record. Ebooks and eAudiobooks automatically expire from our patrons’ accounts on their due dates, too. To keep a history of items, you have a couple of good options: using your own library account on the Delaware Library Catalog and through Goodreads, “a ‘social cataloging’ website founded in December 2006 and launched in January 2007 by Otis Chandler, a software engineer and entrepreneur and Elizabeth Chandler” (Wikipedia on Goodreads, retrieved March 2013). I’ll explain the steps in the new Delaware Library Catalog since we have previous postings to help with the older version. If you have created and saved lists on the older catalog, you may also transfer these to the new one, but it’s worth noting that this is allowed only once so you’ll need to maintain your new list on the new catalog (you can’t transfer or ‘sync’ lists repeatedly). To add new lists simply click your mouse on the “+” that is next to an image of a spiral notebook. Name the list and you’re ready to use it. If you have more than one list, make sure to activate the one you want to work with. To delete any unwanted lists, you can check the box next to the one you’re ready to delete and press the “-” that is next to the image of the spiral notebook. 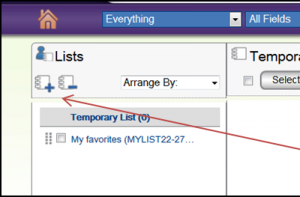 The Delaware Library Catalog has a handy guide providing further details and screenshots to help walk you through creating and working with “My Lists” on their “New Catalog help” page. You may consider making different lists for your varied tastes, such as “Cookbooks”, “Mysteries” and “Favorite Movies.” Adding titles to these is as easy as clicking and naming each list. Goodreads is a free, external site that is also a way to keep track of items you’ve read, watched and listened to, but in a way that is social. You and your friends can rate titles, provide summaries, and recommend books on this sharing network. In fact, when you are looking for titles on the Delaware Library Catalog, you can also see Recommendations – and many of these are linked through Goodreads. 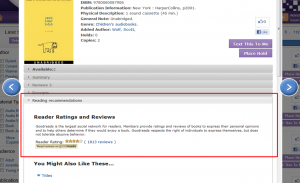 The screen shot on the right shows a view of “Reading Recommendations” with over 1800 Goodreads’ Reader Ratings and Reviews for the book, ‘Love that Dog’ (as of March, 2013). We hope this provides you with what you need to create lists that you can keep for years to come. It’s fun to see our personal lists grow throughout time and be reminded of the stories we’ve experienced and that have touched us, and, as you have noted, to be able to refer specifically to something that we’d like to recommend to others. Please feel free to contact us anytime you have questions in person and online through our Ask a Librarian Delaware service. We truly appreciate your support and use of our Delaware libraries! 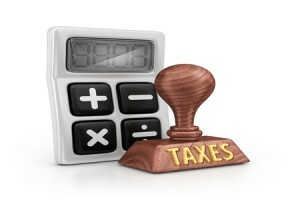 Federal and state income taxes are coming due. This year, it’s on Monday, April 15. USA.gov has annual filing dates listed on their helpful site, and includes information about who should file, when and how. This is also a great starting place for finding details about tax preparation assistance programs, such as those commonly offered through the public libraries in Delaware. Generally, most tax preparation assistance is offered from the end of January/beginning of February through April 15 each year. Let’s start with an overall view and narrow it down to our local Delaware Library level. Well-known non-profit organizations have expert volunteers who assist the VITA and TCE Programs to provide free tax help in as many locations aws possible, such as the American Association of Retired Persons (AARP), who works with the TCE Program. Here is AARP’s page for locating their free tax prep services by county in Delaware and what you need to know in order to qualify, as well as what to bring with you when you go to your appointment (look about halfway down the page). Most of Delaware’s libraries provide online information about these tax prep programs, such as through New Castle County public libraries’ and Sussex County public libraries’ sites. Another calendar, provided through Dover Public Library’s site, allows you to search for the topic you are interested in. If you put in “tax” in the keyword search (upper left side) and press ‘enter’, you can see that there are regularly-scheduled tax assistance programs offered. Note that you must make an appointment for many of these tax preparation assistance programs. You may be interested in knowing that you might qualify for free software to assist you in preparing your tax returns online. The IRS has provided a listing of “Free File Software” for those whose adjusted gross incomes are $57,000 or less. They also have their tax forms linked on this page for easy access. The State of Delaware’s Department of Revenue also has online information about free tax filing software for those who qualify. Each listed software is annotated with the income level requirements right on this page. Just so you know, the Federal government started accepting most types of tax returns as of January 30 this year. 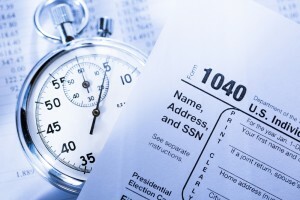 If you anticipate a return on your taxes, this may be good news. It’s also interesting to note that more than 80% of tax payers filed electronically in 2012 and in light of online access and filing, it’s important to keep yourself protected. USA.gov offers good advice about being aware of potential scammers. See the bottom of this webpage for Scams and Fraud information. Although librarians are not tax accountants or advisors, we can certainly help you find the information you need to get help with taxes, and we’re glad to! Please feel free to ask us in person at your Delaware public library or online through our live chat service, Ask a Librarian Delaware, anytime! Thank you for your question! Thank you so much for your great question! Like you, I had not heard of zombie ants until recently and wanted to find out more. 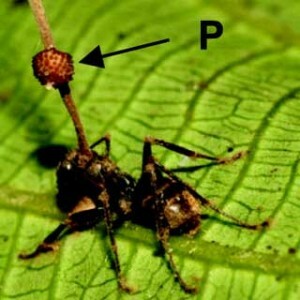 The fungus that causes certain types of ant to behave in ways that seem zombie-like is called Ophiocordyceps unilateralis. Although it has been around for many millions of years, as reported on ScienceDaily, it was discovered and identified in tropical forests such in Africa, Brazil and Thailand fairly recently An international research team led by scientist David Hughes of Penn State University, wrote the first paper in 2009 describing the effect of the fungus on an ant. and to assure us this fungus targets a specific host species, the Camponotus leonardi ant (and does not affect humans). As Dr. Hughes’ findings show, such as described in Scientific American and ScienceDaily, the fungus spores affect ants’ brains and behavior. The ant who is infected will typically climb about halfway up the tropical canopy and bite on the underside of a leaf so hard as to be locked there with its mouth open. This is an ideal location for the fungus to grow and mature, and it usually does by sprouting a stalk out of the ant’s head. On this, the fungus creates more spores as to keep its own species alive. “In other words,” reported Katherine Harmon of the Scientific American, “the fungus was transported via the zombie ant to its prime location.” And in this way the fungus continues to thrive. More information and images about the zombie ant can be seen on PennState’s ScienceCast (YouTube). Most recently, Dr. Hughes and his team have reported that Ophiocordyceps unilateralis has its own enemy; another fungi. According to Discover Magazine online, this fungi is not much help to the ant who is infected, however, since “it only infects the Ophiocordyceps after the ant has died.” Another resource, the Encyclopedia of Life, reiterates the value of keeping this fungus in check. If you would like more information about ants, the Delaware Libraries’ databases offer excellent encyclopedias and journals for your use, free with a valid Delaware library card, such as Science News, Science Spin, and Scientific American, Earth Science, Science, and more! If you need help finding the article, magazine or any information you need, please feel free to contact us anytime in person or online through Ask a Librarian Delaware. We love to learn and appreciate your questions! Thank you for your question to find out about books that describe the 1980s so you can determine their historical context. I took a look at the books available but also want to offer you other resources from the Delaware Libraries’ databases as well as from some online sources. Let’s start with the books. 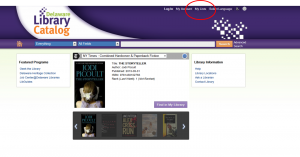 In the Delaware Library Catalog you can use the Advanced Search feature to bring in specific search terms. I used “United States, 1980s, history” – similar search terms will bring up similar results. Another great resource is the Delaware Libraries’ database collection. Delaware’s includes Ebsco’s many journals and magazine articles. There are quite a few articles when I put in the search terms “decade 1980s” and “US history”. I saw such articles as, “Strategy in the Decade of the 1980s” by Paul Nitze, which focuses upon US foreign affairs during this time period. If you are looking for articles this is a great way to quickly find authoritative information. To search on Ebsco for yourself, go to ‘eMagazines and More‘ and give the first option a try, the Academic Search Premier. You’ll need to log in using your 14 digit library card number and PIN. If you ever have any trouble with this, feel free to chat with a librarian anytime! I also thought you might also be interested in some online resources. There are a few that are pretty good with history, such as History.com (The History Channel), CNN, and InfoPlease. You can also search on InfoPlease for more years, too. 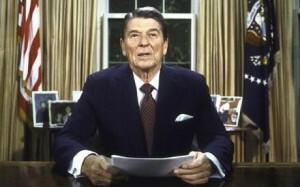 You might want to compare an historical timeline with the above events, such as through America’s Best History’s timeline for the 1980s . I hope this gives you enough information for your research question. Please feel free let us know if you need more – in person and online through Ask a Librarian Delaware. We truly appreciate it your support and use of our Delaware libraries!